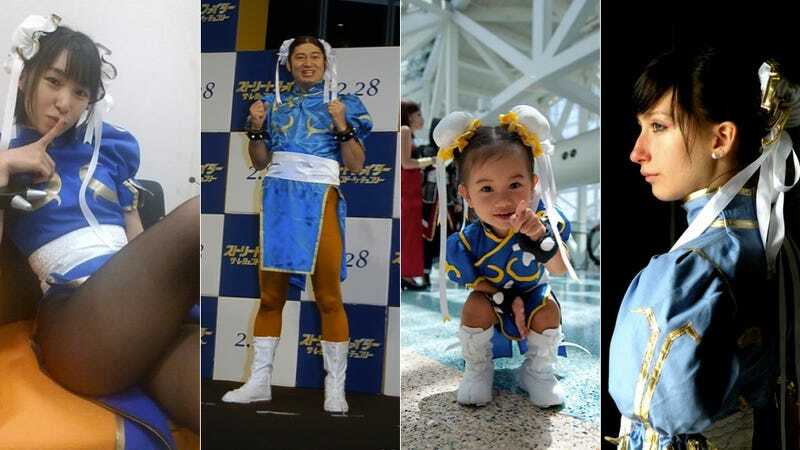 Chun-Li: Who Wore It Best? As far as video game characters get, few are as iconic as Street Fighter's Chun-Li. She's not only a player favorite, but also a fan one. Many a cosplayer has donned her qipao. But who wore it best? Let's find out. In the above gallery, there's a smattering of Chun-Li cosplay. It's a small sampling. There might be better cosplay out there, but this is like when two people show up at a party wearing the same getup. Who wore it (here, the outfit) better? So from this sample, let's see how these folks handle Chun-Li's spike bracelets, ribbons, tights, and qipao. We'll leave pulling off the Spinning Bird kicks to Chun-Li herself. Click the lower corner to expand the images.